Please send pictures by CLICKING HERE . Paint's Cotton TWH #918217 Walkers West, TX. 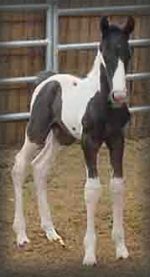 Both Parents are Foundation Tobiano Walking Horses and Homozygous Tobiano.